In 1926, The Vega Company launched its famous "Vegaphone" series, and continued producing these until around 1940. 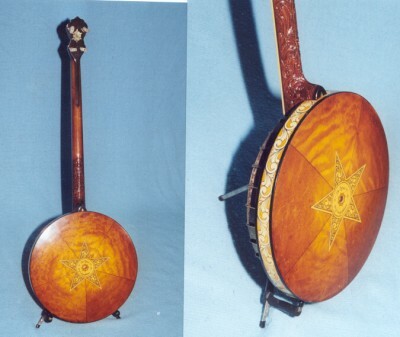 The top of this line was the DeLuxe, as pictured here. 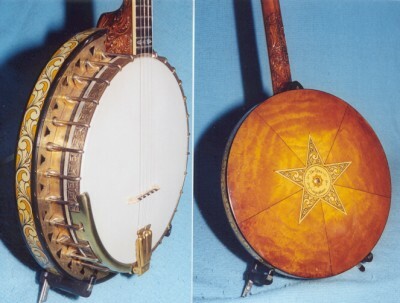 One of the most unusual decorations ever designed for a banjo was placed on this model. It consisted of a piece of expensive green abalone shell, which was attached to the bottom of the rim. 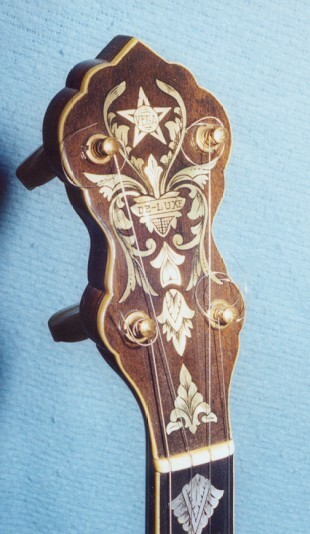 This decorative feature could only be seen when the resonator was removed. 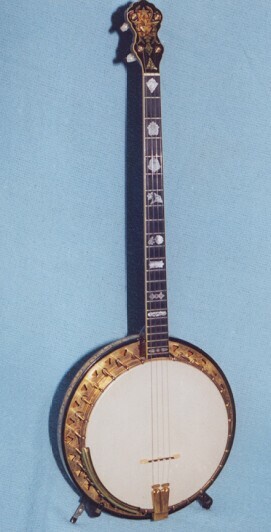 The banjo shown here has a serial number of 95166, which places its production date to about 1933.